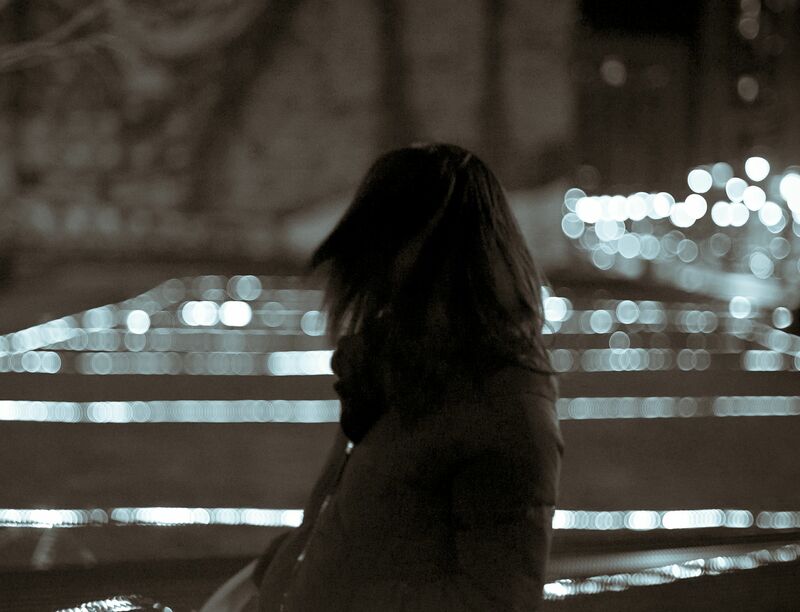 March 14th – March 21, 2013. 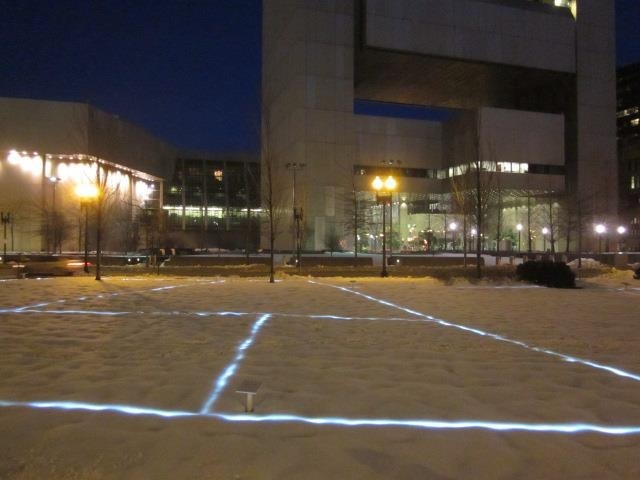 Opening event Thursday, March 14th, 6:00-7:30pm on Dewey Square Park, between Summer St & Congress St.
For the Rose F. Kennedy Greenway Conservancy’s 2012/13 Winter Lights series, the Lumen Collective presents Urban Planning: A History of Public vs. 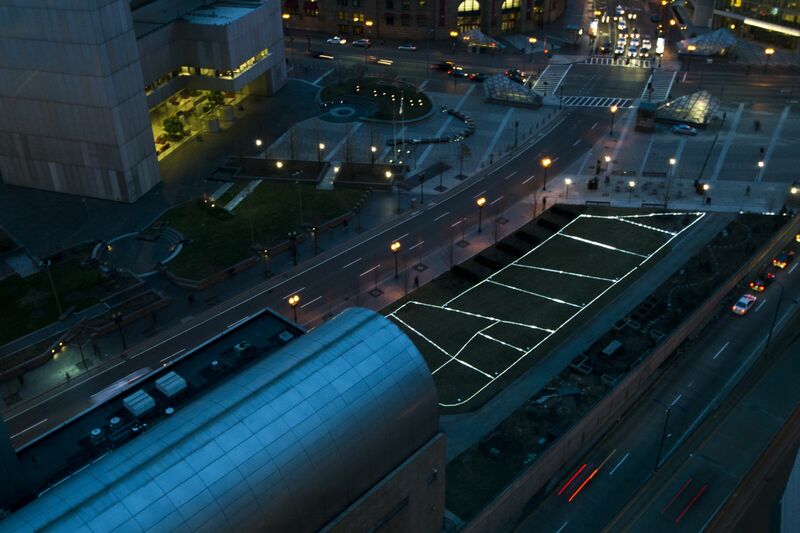 Private Space in the Heart of Downtown Boston, a site-specific installation in Dewey Square Park. 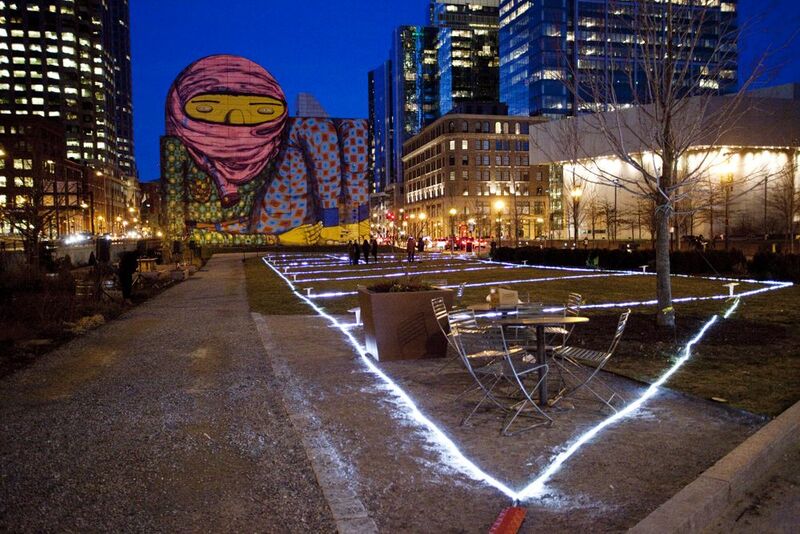 The piece highlights an LED rope light plot of the buildings which once stood on the park’s grounds. Demolished in the 1950’s construction of the raised Central Artery highway—an attempt at modernization which evolved into the Big Dig— the old structures are memories of various claims of public and private ownership upon the land. The elevated highway, which spanned the area that is now the Rose F. Kennedy Greenway, displaced 10,000 residents and destroyed 1,000 buildings when the land was claimed by the city via eminent domain. 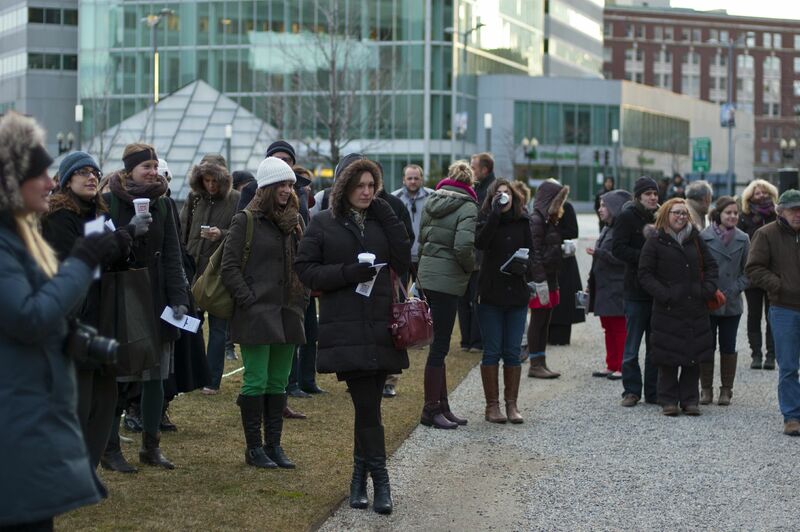 In retracing the history of Dewey Square Park, Urban Planning confronts the tensions between public and private claims over urban settings, raising new consideration and discussion of past events as both harmony and discord continue to shape the history of this site.